In case anyone reading this does not know, a median is a line connecting a vertex of a triangle to the midpoint of the opposite edge. 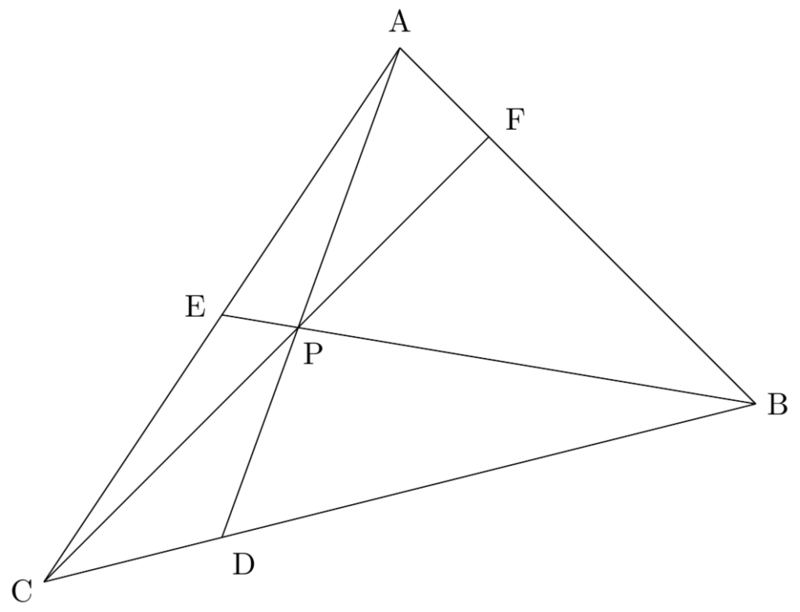 The theorem is that the three medians of a triangle are concurrent (i.e. they meet in a single point). Here are four proofs. Let E and F be the midpoints as shown and let BE and CF intersect at G. Consider the dilation about A with factor 2. It sends E to C, F to B and G to Q (this is the definition of Q). Then EG and CQ are parallel, as are FG and BQ. 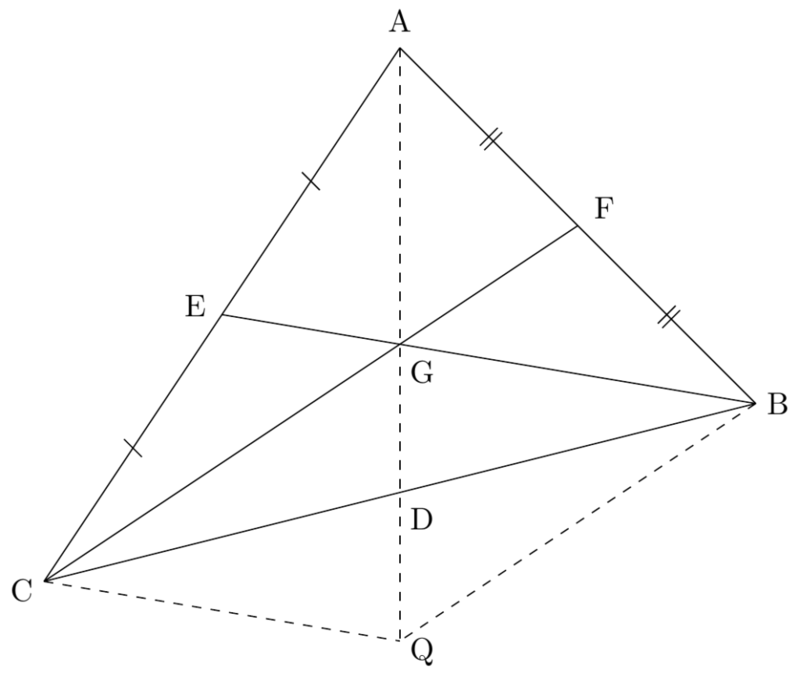 Thus BGCQ is a parallellogram and the diagonals of a parallelogram bisect each other QED. Proof 2: (Vectors. Efficient and boring). Write , and for A, B and C respectively. Let G be . It is easy then to check that the midpoint D of AB is and that A, D and G are concurrent. The rest of the proof is routine. Proof 4: (my favourite) WLOG the triangle is equilateral. Now the statement is obvious (e.g. by symmetry). Perhaps some elaboration should be made to the WLOG. An affine transformation of is a map of the form where is an invertible matrix and is a vector. The affine transformations act transitively on the set of (nondegenerate) triangles and the property of having concurrent medians is clearly invariant under these transformations. Acknowledgements: Thanks to Inna Lukyanenko for the first proof and tikz files, and to pdftoppm for converting the .pdf output to .png. This entry was posted in maths by Peter. Bookmark the permalink.